It be me favorite time ‘o yearrrrr! Swashbuckling shenanigans and a new player suggested item. Today be Talk Like A Pirate Day, me hearties! 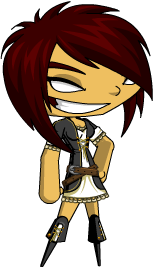 ‘Nd me even decked meself in me real-life buccaneer outfit that be smartly matchin’ the Scurvy Buccaneer in-game armor! Make sure ye say Ahoy to Capn' Skampy on Market Street to get ye own seasonal rare Talk Like A Pirate Day booty! Ye can find out more by feastin' yer eyepatches on me previous TLAPD Design Notes post! Another player suggestion has been added to the DTU Kiosks! Ye don’t need to be tech-savvy to wield the Data Dagger, inspired by yer fellow shipmate The Wambo. Ye can get yer hands on the Data Dagger at the Hero Spire ‘nd Skull Deep Kiosks fer a mere 23 DTs! A motherload o’ player suggested items already be waiting for ye in the Kiosks, ‘nd more be arrivin’ daily as the 30 Days of Suggestions continue! Yaaaaaaar! Shiver me timbers ‘nd Swashbuckle On!